The sets of Chanel’s fashion shows are immersive and experiential. Karl Lagerfeld lets his imagination take flight for the shows; the mis-en-scene complements the clothing and accessories, transporting fashionistas to imaginary worlds where they would need every single piece he offered. Lagerfeld has taken his guests everywhere from the Chanel airport and grocery store, to futuristic spaces complete with a rocket, and magical forests. 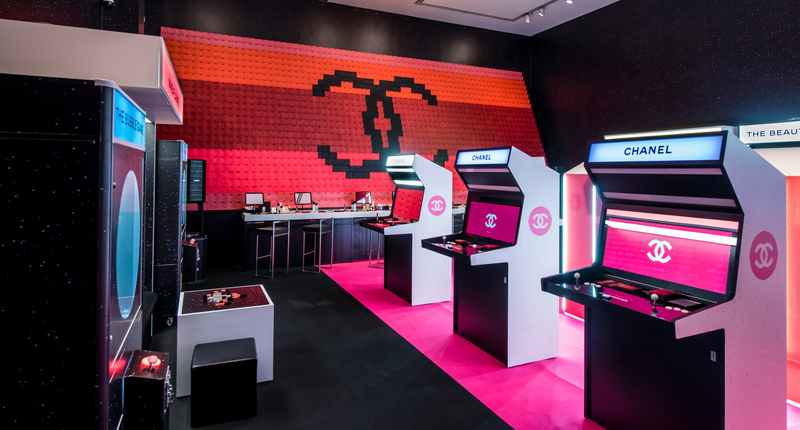 So when Chanel Beauty launched its CoCo Game Center Pop-Up in Singapore to give its latest beauty launch a fresh spin; it is with little wonder that the brand went all out. The Instagram-worthy space, inspired by an 80’s game arcade, is located at the Luxe Art Museum on Handy Road from now till 6 May, 11am to 9pm daily. Play Chanel beauty-themed old-school computer games, check out the testers, and pick up the brand’s latest launches including the Rouge Coco Lip Blush, and Chanel Cruise 2018 Makeup Collection. Register here to get a slot.